Based upon the issues I care about, this post is my effort to evaluate Barack Obama as the Democratic Party’s candidate for president. The last section of this post, The Issues, describes those issues. 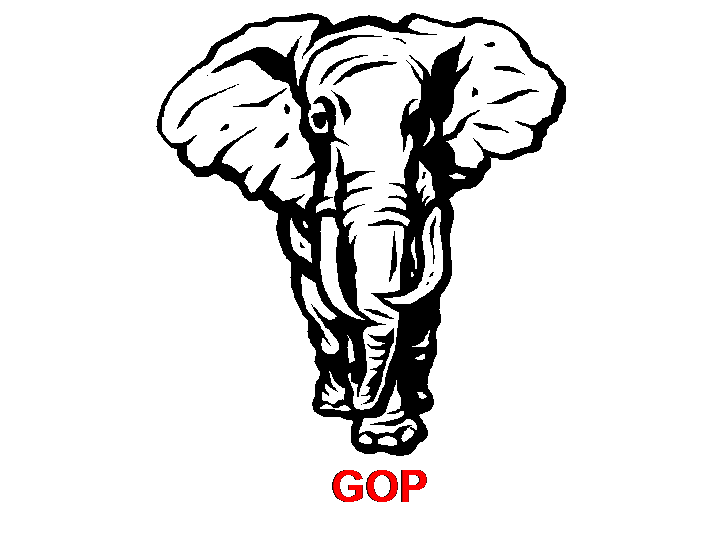 I have already evaluated the Republican Party’s candidate, John McCain, at this post. For a comparison, please refer to the post on John McCain. See this post (HAVE WE BEEN ACORNED?) for an analysis of the poll results. To all intents and purposes, Obama appears to be a decent man. At least, it is not obvious that Obama has engaged in a pattern of bad behavior. Nonetheless, I do not intend to vote for him. I object intensely to his politics. For all practical purposes, what Obama advocates is outright socialism. In addition, I do not like Obama’s associates. In the last section of this post, Personal Life, I discuss Barack Obama associations. While I do not believe in guilt by association, it makes me extremely nervous when a politician must so often disown so many people and organizations he has formerly praised. Education – Obama unabashedly promises to get the Federal Government fully involved in the education of our children. If Obama fulfills this promise, educational levels will continue their slow decline. In addition, parents will have less and less control over the values taught to their children. Consider how Obama defines the problem with the No Child Left Behind Act. Obama defines the problem as “inadequate implementation”. “Inadequate implementation” is Obama’s euphemism for insufficient funding. That is, Obama wants to spend more of our money. Why? Ostensibly, Obama wants to improve the education system. In practice, Obama is in the service of the most powerful education lobby. Both of the major teacher’s unions (see here and here) endorse Obama. Because there are so many issues that affect our vote, a powerful minority can hold sway on a single issue. The teachers unions are powerful and they are focused on a single issue, education. The result is that the teacher’s unions, not parents, decide how children are educated. Consider the irony of this story. You think that a fluke? Consider a story closer to home. Virginia Republicans are in an uproar after the state teacher’s union sent an e-mail to its members encouraging them to wear blue-colored shirts to school to show their support for Barack Obama. State Republicans are calling it an undisguised attempt to influence students’ political views. The Virginia Education Association sponsored “Obama Blue Day” on Tuesday. In an e-mail sent last week, it urged teachers to participate by dressing in blue. Do you think any teacher’s union would defend bringing religion into the classroom? Of course not. In the blending and homogenizing of a multicultural world, religion just complicates matters. Nonetheless, the teacher’s unions insist upon indoctrinating children in their values and political beliefs. Let there be no doubt as to why the American educational system frustrates parents. The problem is too much government and not enough parenting. Instead of treating parents and children as the primary customers, our government-run education system treats the teacher’s unions as the primary customers. The result is an administrator top-heavy system that makes teacher’s pay and benefits its primary goal. Instead working to inculcate strong moral values into our children, our government-run education system works to make our nation’s children docile followers of the Democratic Party. If we allow it to continue on this course, our government-run education system will destroy our republican (Note the little “r”.) form of government. Law – Before anyone votes for Obama, they should do two things. Read the U. S. Constitution. This document is surprisingly short. Yet it is still the basic Law of our land. Is the Constitution flawless? No. When it was accepted by the people of America, the Constitution recognized the “right” own slaves. Only a great Civil War ended that evil. Yet when we observe and adhere to the Constitution, the document helps us to protect our freedom and our civil rights. Read Obama’s Issues page on Civil Rights. Like most modern Democrats, Obama fails to appreciate the role government plays in denying us our civil rights. So when he sees what he perceives any disparity in civil rights, he reflexively calls for a Federal Government solution. Because people are imperfect, we will always have disagreements over what forms of discrimination are appropriate. Thus we have Obama’s call for a huge expansion of government busybody agencies (see BUSYBODYISM). The battle over civil rights traces back to the furor over Jim Crow Laws. The roots of this battle go back to the era of slavery. What many have forgotten is that government made slavery possible. State governments in the Old South legalized and supported the “rights” of slave owners to own other people. This evil chapter in our history ended only after a great war and hundreds of thousands of deaths. The Federal Government used the force of arms to deny the “right” of state governments to enforce slavery. Nonetheless, Southern Whites stubbornly persisted. When the period we call Reconstruction ended, the Southern States instituted Jim Crow Laws. If anything, the efforts of the Northern States to harshly punish the South and force their own views on the citizens of the Southern States exacerbated the viciousness of the Jim Crow Laws. Had the Northern States been content merely to end slavery and put Blacks and Whites on an equal footing before the Law, the Jim Crow Laws might not have been so strongly supported by vengeful citizens Southern States. No one will ever know, but conventional wisdom suggests that history might have been different if Abraham Lincoln had not been assassinated. Now Obama supports an abusive program of civil rights enforcement. Instead of relying upon existing laws, custom, and the free market to protect our civil rights and differences of opinion, Obama wants us to rely upon his administration and a program of aggressive civil rights enforcement to punish the politically incorrect. Here are some examples. Rather than rely upon the “judgement” of a free market, Obama would tell us when pay equity between men and women and minorities has been achieved. Rather than recognize the simple fact that all crimes are hate crimes, Obama would give certain privileged groups (especially those who voted for him) special protection. Rather rely on state and local governments to run our nation’s polling facilities, Obama would increasingly federalize the process, increasing the possibility of nationwide voter fraud. Apparently, from Obama’s perspective, every problem is a Federal Problem. Therefore, every problem should be the subject of his intense scrutiny and infinite wisdom. Obama apparently has great disdain for the Founders’ original intent in the Constitution. His plans certainly leave no doubt he desires to be unfettered by the document. When asked at the Saddleback Civil Forum which of the current judges he would not have appointed to the Supreme Court, he listed conservative judges Thomas and Scalia (see here). He voted against both Roberts and Alito (see here). This (here) CATO Institute article by Robert A. Levy explains how Obama’s judicial vision differs from McCain’s. National Defense – In his plan for national defense, Obama sums up his approach this way. Obama’s plans sounds nice on the surface, but read his plan. Obama thinks of the military as a social program. When Obama sees the military, he sees a jobs and training program. While Obama talks about making the military work better, all the specifics in his plan are about giving military personnel a softer life. Obama is buying votes, not a more effective military. Look at Iraq. With respect to Iraq, ending the war, not victory, has always been Obama’s first priority. Consider how he quotes himself. Obama takes great pride in his vote against our invasion of Iraq. He blames the Bush administration, not Saddam Hussein, for starting the war. He had to be dragged kicking and screaming to acknowledge that we have had any successes (something he finally admitted at the Saddleback Civil Forum), and he had to be pressured to extend his call for an immediate withdrawal to 16 months (See here). What is Obama concerned about? When he talks about Iraq, what is his constant refrain? Traditionally, foreign policy has been a topic favoring Republicans, while economic issues have tilted toward Democrats, and that seems to be the case again, at least since the pace of American fatalities in Iraq began dropping, said Alec Kirby, associate professor of history and government at UW-Stout in Menomonie. Obama advertises himself as the cool and calm military leader we need. In his world, we only go to war when warfare is absolutely needed. Then he turns on his charm, and all the nations in the world are suppose to wisely follow his leadership. So the war (How could there ever be one?) is instantly over. The enemy acquiesces and apologizes for so rudely disturbing the sacred Obama peace. In reality, we conduct war in a fog. In reality, because he did not know enough, Obama opposed the surge (see here). In reality, we have a hard time figuring out the minds of enemy. Even when we have good intelligence and when our military operations proceed with greater ease than we expected, peacemaking can be terribly difficult. So it has been in Iraq. Defeating Iraq’s army turned out to be easy. Pacifying 25 million people traumatized by decades of totalitarian dictatorship and surrounded on all sides by nations hostile to democracy turned out to be extremely difficult. That is a problem few anticipated. What worried everyone is the possibility Saddam Hussein would attack our troops with chemical and biological weapons. In reality, Obama does not have the will to win against our enemies. Obama too badly wants to spend every cent he can tax on social programs. Obama would like nothing better than to turn the world’s best military into a glorified Peace Corps. Immigration – Obama has not apologized or backed down from his plans to provide illegal aliens amnesty. This is the bill that the Senate refused to pass only after the citizenry spoke up and said NO! Obama clearly has no remorse nor regrets for participating in the crafting of legislation of which the public wants no part (see here). After the failure of the bill he supported, McCain at least recognized that to please us, he has to secure the border first (see here). Two Conservatives has a good post on this subject that explains the difference between the candidate in terms anyone should be able to understand. See here. Limited Government – Obama promises that only those making over $250,000 will pay for all his innumerable promises. That is absurd. You need proof? Go to Obama’s website (here) and look at the Issues Pages. Civil Rights – Do you think even THE ONE can strengthen civil rights enforcement, expand hate crime statutes, cure drug uses, and so forth without hiring cadres of new people? Our nation is already awash with lawyers, and Obama wants to put still more of them to work. Disabilities – Obama promises those with disabilities everything they need for happiness. Economy – Obama promises ever more meddling in the economy: tax benefits for small businesses, more clout for unions, windfall profit taxes, government investment in manufacturing, job training, and so forth. Since meddling such as what he proposes fouled up the economy in the first place, …..
Education – See the educaton section above. Energy – Obama promises government investment. Do we really want the government to own all our businesses? Family – A Making Work Pay tax credit? Go figure that one out. Obama’s idea for making families work is more government spending — and more government mandates imposed on employers, of course. With idiot meddling like this, why should anyone have to wonder why jobs are leaving our country? And so forth. Obama has a long list of issues. Even this post is too short to summarize all the ways Obama intends to expand government. Obama has lots of plans, and his plans will cost us all money. Go read some of Obama’s plans. Then ask yourself a question. Where in the Constitution is Congress authorized to spend money on the things Obama want to fund? When the English Barons decided that they needed to restrain King John, they forced him to sign the Magna Carta. The provisions of the Magna Carta created a Great Council which eventually evolved into Parliament, a body that now controls taxing and spending in the United Kingdom. It took awhile, but the English eventually figured out how to control their King. They got control of the King’s budget. That lesson still applies. Just as the King’s power arose from his ability to tax and spend, so does the government’s power as a whole. If we want to retain some control over the conduct our lives, we must restrain taxing and spending by government busybodies. That clearly is not the direction THE ONE wants to take us. The Environment –The environmental rage this year is clean energy. Everybody has a plan to get us off fossil fuels and onto something else. What does Obama propose? He promises to make us all rich with clean energy (see Obama’s plan here). Here is his basic list of clean energy promises. Provide short-term relief to American families facing pain at the pump. Obama promises to make untested technology work economically. That is an outrageous. The tax relief he promises will come from the oil companies. That is stupid. To get this money so that they can pay us back, the oil companies will just raise their prices. So we will just pay our government money to have portion of what we give the oil companies given back to us. Invest in a clean energy economy and create five million jobs! Create a green vet initiative. Convert manufacturing centers into clean technology centers. Create new jobs training programs for clean technologies. Obama’s plan is nothing more than an empty promise, a blatant attempt to buy votes. What Obama intends to put in place will just be a complicated and wasteful government-run mess. The rich will find loopholes, and we will pay. The money we pay will go into the General Fund. That is, our money will just go into the same black hole as the Social Security Trust Fund. If it is going to be fair, we must use a system we can all understand. If we want people to use alternative energy sources instead of burning fossil fuels, all we need to do is tax pollution (see here). Taxes are something both government and consumers understand. Why does Obama need to pay private companies to do something they would do anyway? When pollution affects the bottom line, private industry will work as hard as it can to avoid polluting. When private industry already knows perfectly well how to do research, why do we need government officials picking favorites and skewing the outcome? The rest of Obama’s plan is a bunch of ridiculous mandates — a bunch of do this or the government will punish you. Just because Obama says industry must make more fuel efficient cars does not mean anyone will be able to afford these cars — assuming they can be made. What Obama is doing is telling us what we want to hear. He is promising to be the Big Daddy who will take care of us. He telling us there is an easy way out when what is required is hard work. We cannot make somebody else pay for a clean environment. We cannot make big oil and other big corporations pay for a clean environment. The simple truth is that we all have to pay for a clean environment. Those big corporations get their money from us and so does our government. Welfare & The Economy – When I first start writing this section, I intended to write two sections: Welfare and The Economy. However, when I start writing the section on Welfare, I could not easily extract Obama’s views on welfare from his views on the economy. Because Obama is a socialist, I do not think he sees much difference between welfare and the economy. Consider Obama’s now infamous comment to Joe the Plumber. Obama apparently advocates “trickle up economics” to manage the “free market” . How this works is a good question. Even wily Scott Adams, of Dilbert fame, finds the matter puzzling. In the recent debate, Vice Presidential candidate Joe Biden said the wealthy would gain by paying higher taxes to lift up the middle class. The theory is that a healthy middle class is necessary for the wealthy class to thrive. Let’s call that Trickle Up Economics. Would Obama’s scheme work? As his response to Joe indicates, Obama proposes to take money from the rich and give it to the middle class. However, as Adam observed and as his website indicates (see here), Obama proposes more than just tax breaks and tax rebates. Obama has many different types of “investments” in mind, “investments” that would significantly increase government spending. Let’s just look at some of the investments on Obama’s Economy Issues webpage. In addition to the investments he plans to Create 5 Million New Green Jobs (see the environment section above), Obama intend to invest in the Manufacturing Sector. Increase investments in training to “improve efficiency, implement new technology and strengthen company growth” in the manafacturing sector. Require 25 percent of American electricity be derived from renewable sources by 2025. That forces the utilities to make an “investment”. Increase spending on our transportation infrastructure. This includes a scheme to create a National Infrastructure Reinvestment Bank. That means increased Federal involvement in the construction of local roads. Obama has no trouble expanding the Federal Government’s role into areas where it traditionally and Constitutionally has no business. The problem with such an expansion is that the government makes its decisions based upon politics, not sound economics. Without personal incentives, people waste too much and do not work any harder than they have to. Government, in particular, is notorious for wasting money. That is why socialism does not work. Consider how Karl Marx summarized the ideal work ethic in a communist state. Ideally, when given the opportunity, each of us would work as hard and as diligently as we ought without any thought of personal reward, except perhaps the thought we were working for the betterment of society. In practice, that rarely seems to happen. At least, no one can point to a society where such idealism has worked in practice. Even the Pilgrims, when they tried a brief adventure into agarian communism at Plymouth Rock, had to give up on the idea in 1623 (see here, here, and here). Obama’s emphasis on politics at the expense of good economics also extends to two other areas: free trade and labor unions. In order to meddle in the affairs of other nations, Obama would hold free trade agreements hostage. Campaigning in Wisconsin, Ohio, and Texas, Obama touted his opposition to NAFTA and pledged to “renegotiate” the 1993 treaty between the United States, Mexico, and Canada that established the largest trading bloc in the world. It was, of course, a president from Obama’s party, Bill Clinton, who signed NAFTA into law over opposition from trade unions and protectionists in the Democratic Congress. But that was then. During last week’s Democratic presidential debate, Obama went so far as to say that, as president, he would use “the hammer” of a “potential opt-out” to “ensure that we actually get labor and environmental standards that are enforced.” His opponent, Hillary Clinton, agreed completely. One of her husband’s signal achievements is now just a bag of sand to jettison from her deflating balloon. Obama intends to strenghten labor unions. For example, Obama supports the Employee Free Choice Act. See here and here for opposing views. The Heritage Foundation briefly describes the act this way. Candidate Website – See ELECTION 2008 PRO AND CONS: BARACK OBAMA WEBSITE REVIEW. Personal Life – “A man is known by his friends.” Such is an old English proverb (see here). So instead of trying to describe Obama himself, it seems best to consider his friends. Who did Obama select for his running mate? That man is Senator Joe Biden. This gentleman is notorious for putting his foot into his mouth. Here is an example. Another friend of Obama is Bill Ayers. Bill Ayers is an unrepentant terrorist (See here.). Supposedly, Obama’s association with Ayers is of no consequence. Yet even a local Chicago paper recognizes the connection. The two men were involved in efforts to reform the city’s education system. They appeared together on academic panels, including one organized by Michelle Obama to discuss the juvenile justice system, an area of mutual concern. Ayers’s book on the subject won a rave review in The Chicago Tribune by Obama, who called it “a searing and timely account.” (from here). Democrats try to brush off the relationship by saying that both merely served on the same board of the same anti-poverty organization, Woods Fund of Chicago. Nonetheless, one wonders what kind of anti-poverty organization would hire an unrepentant terrorist to serve on its board. Moreover, one wonders about the good sense of any organization that would give funds to the now infamous ACORN (see here). Bernardine Rae Dohrn is still featured on the FBI’s website (see here). Because Dohrn is one of the eight women who have made the FBI Top Ten Wanted List, she has achieved some notoriety. Dohrn was a member of the Weather Underground. Dohrn is Ayers’ spouse. Obama claims he was unaware of the couple’s past. Perhaps, but consider this excerpt from a 2001 article in the Weekly Standard. POOR BILL AYERS. His timing could not have been worse. Just when his widely publicized memoir of his days as a terrorist was coming out, our nation suffered its worst terrorist assault ever. Here a link to the fawning New York Times article. Starting in the late 1980’s, Jeremiah Wright was Obama’s, pastor, mentor and role model. At best Obama’s relationship with Wright is ambiguous. Wright teaches Black Liberation Theology. What is that? Since I do not know much about the subject, I am not going to try to recommend a reference or suggest exactly what it is. Nonetheless, Black Liberation Theology undeniably has something to do with both race and politics. This web page (here) describes Trinty United Church of Christ (Wright’s church) mission, and this web page (here) describes the church’s “Black Value System.” In this video Wright defends himself before Hanity and Combs. To say the least, most Americans found Wright discomfiting. Eventually, Wright’s own words forced Obama to disown Wright and quit Trinty United Church of Christ (see here). Tony Rezko is a convict with ties to Obama. Rezko was the first person to make campaign contributions to Obama. More suspicious, however, is the property Rezko sold to Obama. Eventually, Obama had to renounce his relationship with Rezko as well. U.S. Sen. Barack Obama expressed regret late Friday for his 2005 land purchase from now-indicted political fundraiser Antoin “Tony” Rezko in a deal that enlarged the senator’s yard. Michael Pfleger has the distinction of being the second minister who has gotten Obama in trouble. Pfleger, a Catholic priest, gave an outrageous speech at Wright’s Trinty United Church of Christ. In response Cardinal Francis George, Pfleger boss, made it clear Pfleger that such politics has no place at the pulpit. Michelle Obama has taken a lot of heat for a remark she made last February. Greeted with rousing applause after making the comment in Milwaukee, Obama delivered an amended version of the speech later that day in Madison, Wis.
One other Obama associate is also worthy of mention, ACORN. When considering ACORN, it is easy to get two extremely different points of view. Newsday paints a heroic picture of community organizer Obama (here) whereas National Review acquaints us with a far more devious person (here). What is the truth? There is no question Obama work closely with the organization. In addition, his campaign has given the ACORN hundreds of thousands of dollars (see here). What is disturbing is the simple fact that without question ACORN is a partisan organization. When there is no reason whatsoever for the government to be paying a private agency to engage in vote registeration or consumer advocacy, why is the government giving ACORN money? No matter how you spin it, what ACORN does and did is and was blatantly unethical. Obama has also distanced himself from two more names James Johnson and Franklin Raines, both former heads of Fannie Mae. Johnson served as the head of Obama’s VP search committee. He left Obama’s campaign amid the controversy over the collapse of Fannie Mae. Supposedly, Johnson’s presence sent the wrong message (here). Raines left Fannie Mae under a cloud and $100 million richer (see here, here, and here). Much of the blame for Fannie Mae’s failure belongs to Raines (see here and here). Fannie Mae increased its holdings of subprime loans during his leadership. Raines is also reputed to be one of Obama’s advisors, but these ties are disputed (here, here, and here). What is beyond dispute is that Obama was one of Fannie Mae’s favorite politicians. Fannie Mae engaged in serious lobbying. Even though Obama is a first term senator, he was a favorite. Anyway you look at it, Obama has associated himself with a bunch of dubious characters, retired terrorists, clergy who cannot separate race and politics from religion, convicts, and ACORN. What do all these people have in common? It would appear that they seek power, and some of them are not too concerned about how they get it. Education – Ostensibly, the Federal Government has no role with respect to education. Unfortunately, the lack of constitutional authority does not seem to stop elected officials from spending money and issuing mandates. I want this abuse of authority to stop. Law – Our president should understand the law and be willing to live within the law. Our president should take the lead in protecting our rights, particularly freedom of religion, the cornerstone of American Law. As a conservative, I also think Supreme Court judges such as Anthony Scalia and Clarence Thomas have the best understanding of the Constitution. I want more such judges appointed. National Defense – To deter potential aggressors, it is imperative that we have a strong military and an ethical strategy designed to protect our vital national interests. We cannot cavalierly abandon Iraq. Immigration – Our nation is being slowly overrun by poor, uneducated, illegal immigrants. Since most of these people come from Spanish speaking nations to the south of us, our nation is being balkanized into different language and economic groups. What that portends for the future is civil strife. Limited Government – You will not see a balance budget or low taxes in this list. What I am looking for is a candidate who sees all spending as discretionary and that we have too much government. We do not need a candidate who makes promises to hand us other people’s money. As I see it, anybody who will rob Peter to pay Paul cannot be trusted not to rob Tom too. The Environment – A clean environment is a fundamental right. To protect the environment, we need a strong environmental policy. Such a policy cannot depend on the scientific wisdom of politicians. No human being, not even a politician able to make endless promises, has sufficient brain power to figure out how to build a modern industrial society that does not pollute the environment. What our government can do, however, is punish polluters when they dump pollutants into our environment. Thus I want candidate who understands the difference between stopping polluters and trying to run private industry. Welfare – The welfare state is a massive scam; welfare is politicians buying us with our own money. Our cradle-to-grave welfare state is also a steadily growing national disaster. Even though the Federal Government has no constitutional authority throw our money into these idiot programs, each year we put a greater percentage of the Federal budget into welfare programs. Eventually, the money must run out. The Economy – Because none of us know enough to run everybody else’s business, government must have a limited role in the economy. What government can and must do is regulate economic activity. Government encourages economic activity by ensuring that buyers and sellers are honest. In addition, government encourages economic activity by establishing a currency for exchange and standard weights and measures. Government cannot and does not create jobs. Candidate Website – Any candidate fit to run our nation should be able to set up a decent campaign website. That candidate should also be forthcoming about his record and what he intends to do if he is elected. Personal Life – Character makes a difference. If we want our nation to strive for high ideals, then the person we select to lead us must honorable and trustworthy. We should not allow a candidate to buy our vote, but people do. By suggesting that those of us who want to vote for a trustworthy politicians are fooling ourselves, some seemingly revel in the fact too many candidates are unworthy of our trust (see here). That makes for a sad state of affairs and says how much we need to pray for our leaders. It’s obvious that you have no idea how the voucher program would work. In a voucher system, each child is given a specific amount of money that can be used for either public or private school. So if I want to send my child to a private school, I apply the voucher towards tuition. If the voucher covers the amount, then I’m fine. If it doesn’t, then I have to pony up the difference. No one would have to pay more in taxes to make the difference. So let’s say I want to send my kid to Private Academy and I have a voucher for $5k and tuition is $7k – I either need to pay the $2k difference or apply for a scholarship. Every student gets the same amount – regardless of where they live or what school they want to go to. And BTW – we already “foot the bill” for education. Each school gets a certain amount of money for the students from both the state and local governments. Federal government kicks in money for special needs students and ELL students. The average is about $7k per child. Public education is not free as many believe. In some cases, public education costs MORE than private education, if the student has special needs. Private schools have regulations that they have to follow in order to be considered a school in the state of Virginia. The private schools have to justify their tuition, so as not to price gauge or be elitist. Tom is absolutely correct about poor neighborhoods having the worst schools. Vouchers would allow parents to send their child to a private school or even to a better public school within the same district. Because you brought it up! LOL!